Choosing the right toothpaste can be a daunting task, as the choices are varied and vast. Some of us have a hands down favorite and always use the same kind. This preference is often based on flavor, consistency or a recommendation from our dentist or hygienist. Others of us buy whatever we have a coupon for or the drugstore has on buy one get one free special. 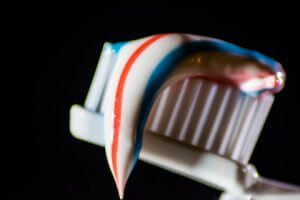 Here are some interesting facts that may help the next time you have to choose a toothpaste. Cleaning your teeth is the responsibility of the toothbrush, and water is all you need to use. Toothpaste freshens your breath and delivers protective chemicals like fluoride and calcium. Whitening toothpastes are usually more abrasive and can contribute to damage to crowns and veneers, as well as accelerate the rate of tooth wear. Sensitivity toothpastes contain a chemical called potassium Nitrate which does reduce temperature sensitivity with regular use. Tarter Control and Whitening toothpastes may increase temperature sensitivity in some people. Many toothpastes contain Sodium Laurel Sulfate, so if you are sensitive to this ingredient you need to read the ingredients carefully. Children’s toothpastes are different, and are designed to be safe if swallowed in large amounts. So with these facts in mind, it will be easy to narrow down the choices and still find the flavor you prefer in either gel or paste, and you’ll still have to deicde whether to buy the tube or the pump!